Imperial Counselor Li Tsu Tsin, Hell Dorado Immortals officer. It’s time to abandon my confusing system of nomenclature ( ie, More X … Yet More X … Another X …) so subsequent articles will be titled Hell Dorado Showcase. 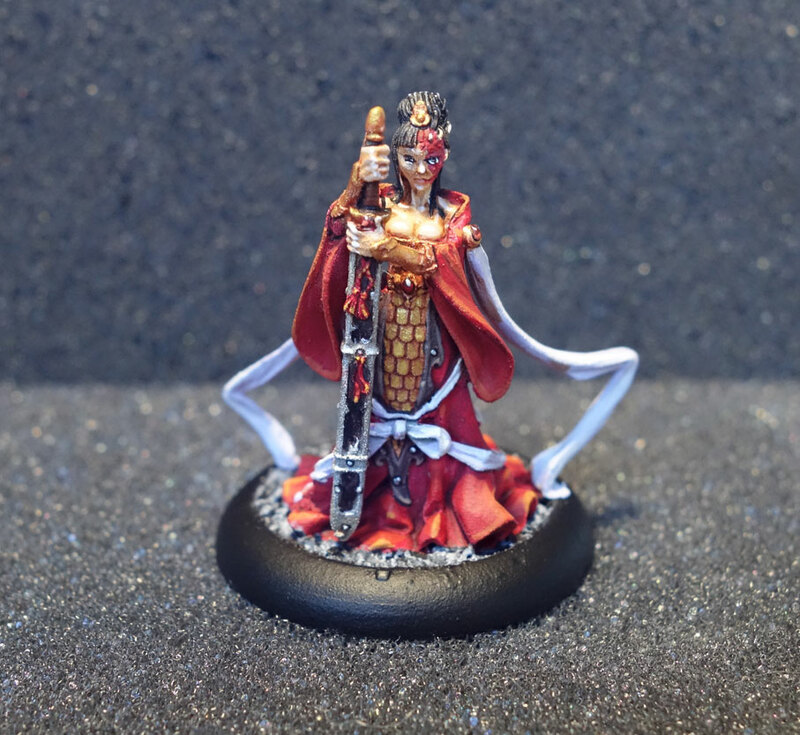 So, with that bit of admin out of the way, may I present the very lovely (if slightly scarred by demon infection) Imperial Counselor of the Immortals faction, Li Tsu Tsin. Like many of the Hell Dorado figures, this is a very detailed and somewhat fragile piece that is quite tricky to put together and paint. 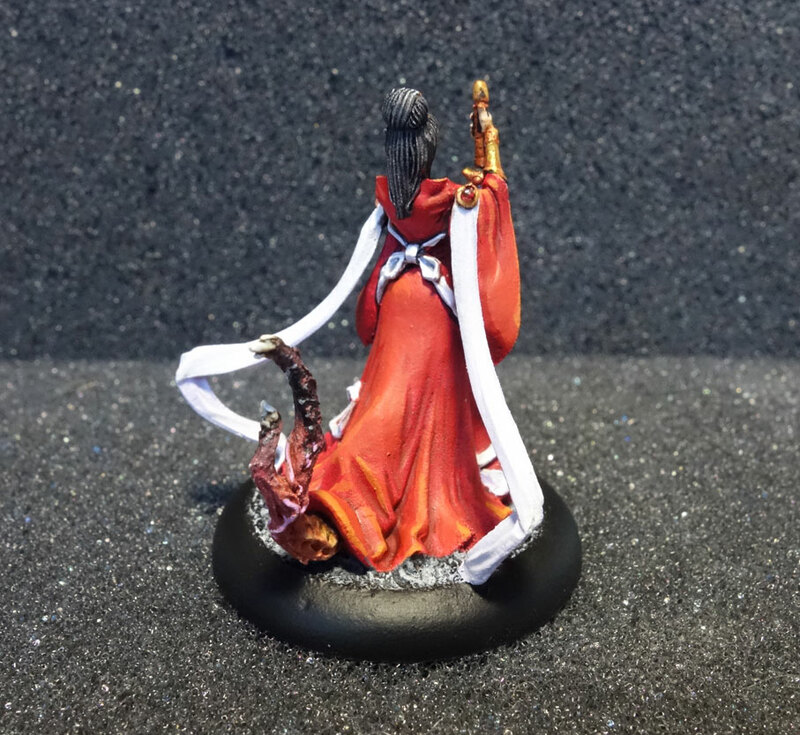 But what a lot of character the final miniature has … a beautiful, imperious Chinese woman irreversibly changed by her faction’s long association with demonkind. I’ve almost finished my personal ‘first wave’ of Hell Dorado figure painting, but there are still quite a few figures to showcase on this site: stay tuned for more soon, including an entirely new faction, the Westerners and—if I can finally get around to it—a more professional photographic setup for these tiny painted things. Looks great. Going by the size compared to the base, those things really are small, eh? Yep, the usual 28-32mm scale. Great work. Posts like this, and discussions about techniques, have inspired us to try a bit of mini painting. Great to hear. I’’ll keep ’em coming then!